We use the term ‘political agronomy’ to refer to the study of relationships and processes which link political, economic and social forces and factors to the creation and use of agronomic knowledge and technology. Political agronomy studies differ from other (apolitical) studies of scientific and technical change within agriculture by problematising the production and use of agronomic knowledge and technology in terms of asymmetric power relations, contestation and struggle. How is the problem / solution ‘framed’, at what scale and by whom? How high a priority is it, for whom and in what situations? How effective it is, by what criteria, at what cost, for whom and in what situations? What benefits does it generate, for whom and in what situations? How are risk, uncertainty and ambiguity understood and addressed, and by whom? 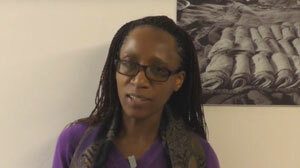 These questions situate political agronomy studies firmly in particular ecological, institutional, social, technological contexts, all of which are pre-requisites for meaningful analysis of the relationships and processes linking political, economic and social forces and factors to the creation and use of agronomic knowledge and science and technology. 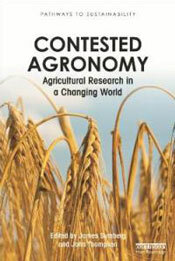 For more theory, analysis and case studies, see the book Contested Agronomy: Agricultural Research in a Changing World.